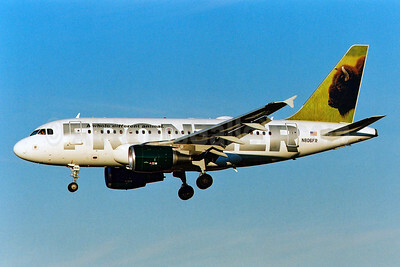 FlyFrontier.com (Frontier Airlines 2nd) Airbus A319-112 N954FR (msn 1786) (Bull Moose) SFO (Mark Durbin). Image: 912271. 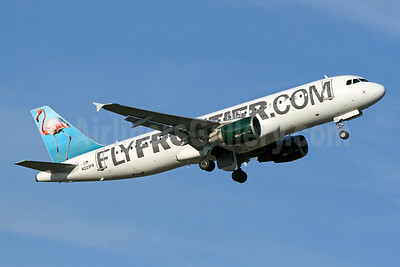 FlyFrontier.com (Frontier Airlines 2nd) Airbus A320-214 N221FR (msn 3205) (Tree Frog) DCA (Brian McDonough). Image: 922198. 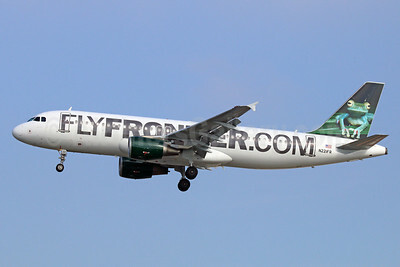 FlyFrontier.com (Frontier Airlines 2nd) Airbus A320-214 N221FR (msn 3205) (Tree Frog) DCA (Brian McDonough). Image: 922199. 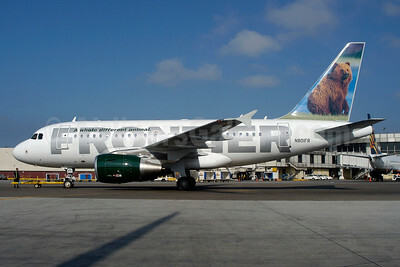 FlyFrontier.com (Frontier Airlines 2nd) Airbus A320-214 N221FR (msn 3205) (Tree Frog) LAX (Michael B. Ing). Image: 922197. 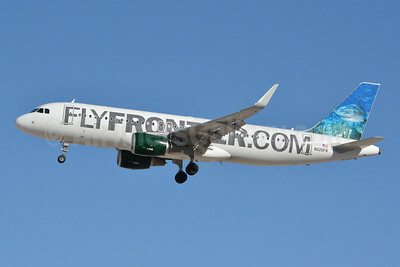 FlyFrontier.com (Frontier Airlines 2nd) Airbus A320-214 N223FR (msn 2695) (Flamingo) DCA (Brian McDonough). Image: 924452. 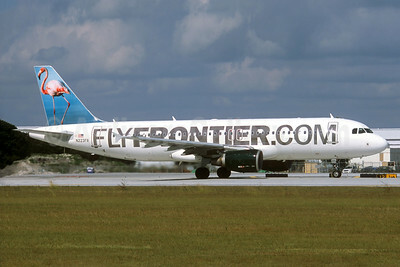 FlyFrontier.com (Frontier Airlines 2nd) Airbus A320-214 N223FR (msn 2695) (Flamingo) FLL (Christian Volpati Collection). Image: 933133. 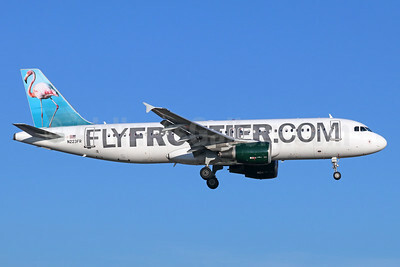 FlyFrontier.com (Frontier Airlines 2nd) Airbus A320-214 N223FR (msn 2695) (Flamingo) LAS (Keith Burton). Image: 936764. 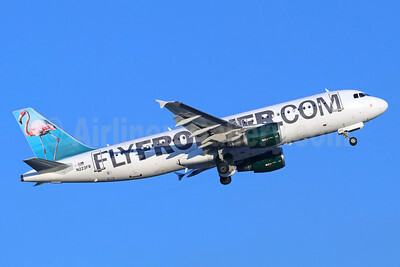 FlyFrontier.com (Frontier Airlines 2nd) Airbus A320-214 N223FR (msn 2695) (Flamingo) LAX (Michael B. Ing). Image: 935946. 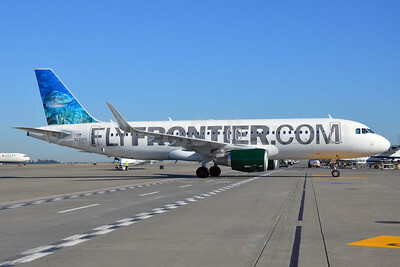 FlyFrontier.com (Frontier Airlines 2nd) Airbus A320-214 N223FR (msn 2695) (Flamingo) SNA (Michael B. Ing). Image: 938995. 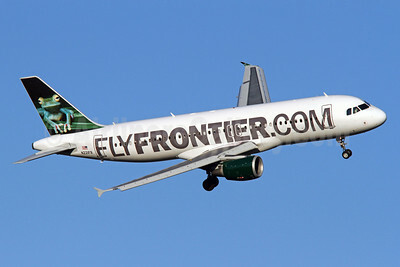 FlyFrontier.com (Frontier Airlines 2nd) Airbus A320-214 N223FR (msn 2695) (Flamingo) SNA (Michael B. Ing). Image: 939535. 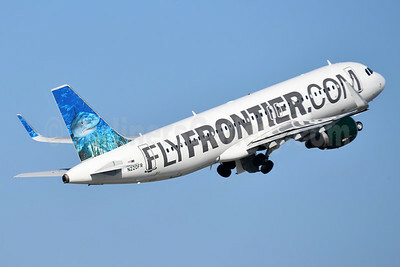 FlyFrontier.com (Frontier Airlines 2nd) Airbus A320-214 WL N220FR (msn 5661) (Finn, the Tiger Shark) LAS (Jay Selman). Image: 402326. 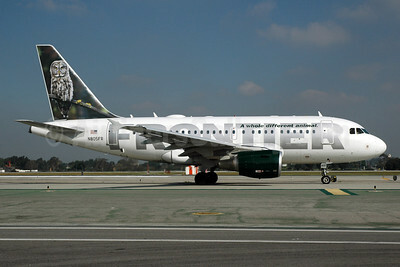 FlyFrontier.com (Frontier Airlines 2nd) Airbus A320-214 WL N220FR (msn 5661) (Finn, the Tiger Shark) LAX (Michael B. Ing). Image: 941166. 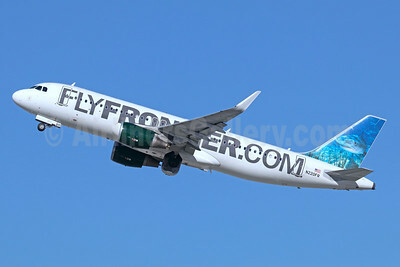 FlyFrontier.com (Frontier Airlines 2nd) Airbus A320-214 WL N220FR (msn 5661) (Sharklets) (Tiger Shark) DCA (Tony Storck). Image: 913296. 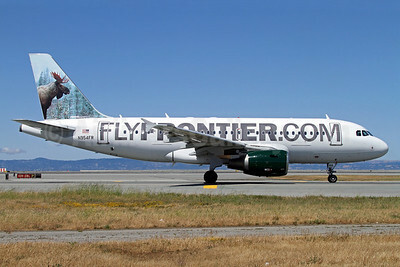 FlyFrontier.com (Frontier Airlines 2nd) Airbus A320-214 WL N220FR (msn 5661) (Sharklets) (Tiger Shark) SFO (Mark Durbin). Image: 921282. 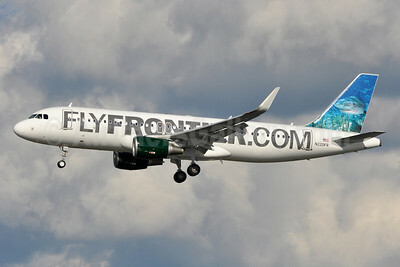 FlyFrontier.com (Frontier Airlines 2nd) Airbus A320-214 WL N220FR (msn 5661) (Tiger Shark) MIA (Bruce Drum). Image: 104314. 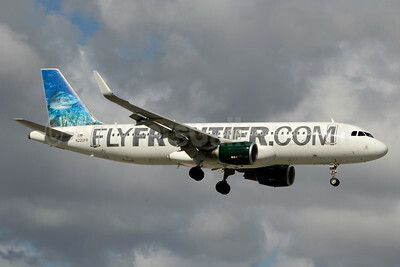 FlyFrontier.com (Frontier Airlines 2nd) Airbus A320-214 WL N220FR (msn 5661) (Tiger Shark) MIA (Jay Selman). Image: 403532. 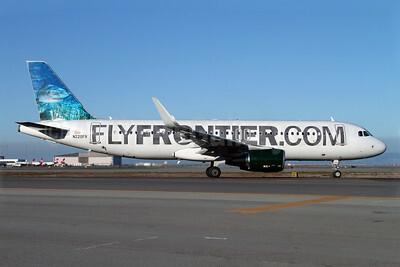 FlyFrontier.com (Frontier Airlines 2nd) Airbus A320-214 WL N220FR (msn 5661) (Tiger Shark) SEA (Bruce Drum). Image: 103040. 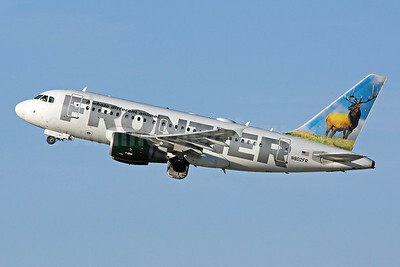 Frontier Airlines (2nd) Airbus A318-111 N801FR (msn 1939) (Grizzly Bear) LAX (Roy Lock). Image: 935945. 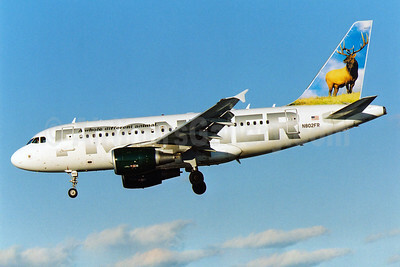 Frontier Airlines (2nd) Airbus A318-111 N801FR (msn 1939) (Grizzly Bear) SEA (Bruce Drum). Image: 101014. 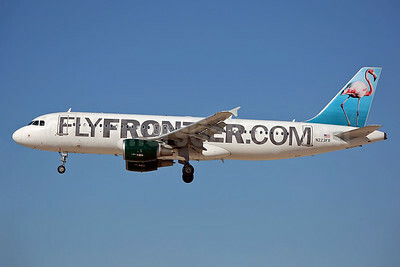 Frontier Airlines (2nd) Airbus A318-111 N802FR (msn 1991) (Elk) BWI (Brian McDonough). Image: 901503. 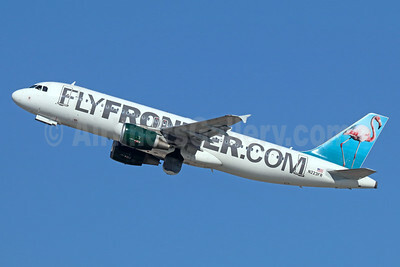 Frontier Airlines (2nd) Airbus A318-111 N802FR (msn 1991) (Elk) LAX (Michael B. Ing). Image: 907780. 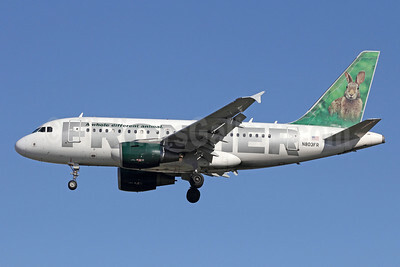 Frontier Airlines (2nd) Airbus A318-111 N803FR (msn 2017) (Rabbit) LAX (Michael B. Ing). Image: 910560. 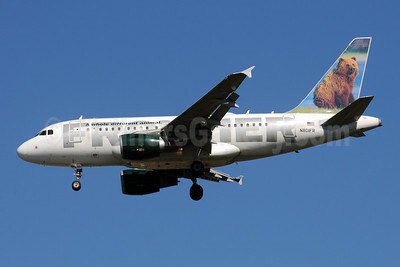 Frontier Airlines (2nd) Airbus A318-111 N805FR (msn 1660) (Great Gray Owl) LAX (Bruce Drum). Image: 100029. 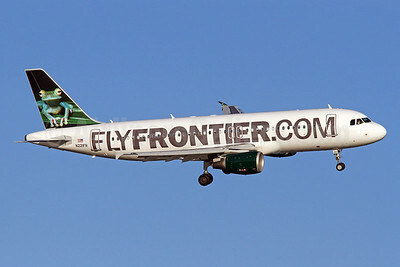 Frontier Airlines (2nd) Airbus A318-111 N806FR (msn 2218) (Bison) BWI (Brian McDonough). Image: 901504.